Movie Review: Tiyaan, A Spiritually Enlightening Film! First of all, your impression on Tiyaan will totally depend neither on your IQ nor on EQ but on your WQ (wisdom quotient). Tiyaan would require a basic spiritual understanding to completely take in the essence of it. Murali Gopi’s script has made the message as conveyable as possible and the Hindu-Muslim relationships, Aslan’s confrontation with the Saadhus, Pattabhiraman’s words in the climax etc. will work well among the viewers. And there are very valuable notes said through dialogues. Tiyaan sheds light on some of the current affairs, the “Man God” businesses and also mocks the people who blindly follow such practices but ultimately it is the fight between Dharma and Adharma. Tiyaan may not be everyone’s cup of tea but it is definitely one of the few films which has managed to comprise the history of a vast culture and show the importance of true religious practices. The film goes through various time spans. Mohanlal’s voice over in the beginning justifies the Malayali presence in the northern plains. To understand the narration in the beginning is very important to follow what is coming up. The basic plot occurs in the present but it was very interesting to see that how the characters of Pattabhiraman, Aslan Muhammad and Mahashay Bhagawan are connected. Aslan Muhammad and his character sketch is the most exciting part of the film. There are entire conversations that happen in Hindi and it is important to pay attention. Once you have watched the film, rethinking it in chronological order starting from Pattabhiraman’s and Aslan’s common dream to the climax will give you more clarity on the whole story. The virtues that Pattabhiraman stands by are actually what a Vedic Guru should preach. What the Saadhus tell Aslan is a very significant message. Also the end of the God-man voices down to Tat Tvam Asi (You’re it). All the events on the peripheral has a much deeper meaning to it and in that sense Tiyaan is a highly intellectual film. Technically Tiyaan looks stunning. Director Jiyen Krishnakumar has made a film that is very rich in quality, the use of the big budget is seen on screen. Murali Gopi’s screenplay doesn’t waste time on unnecessary elements, even though the film is 2 hours 48 minutes long, it never gets tiring. Also the characters are well written, the major three characters, Pattabhirama Giri, Aslan Muhammad and Mahashay Bhagawan represent a lot more things than just being people. The cinematography was beautiful, Satheesh Kurup’s frames looked rich and had all the magnificence of the locations. The editing by Manoj was brilliant too, few particular shots were nicely placed. Gopi Sundar’s music and background score were good. Tiyaan is definitely a well made film. On the acting side, the film has a long line of actors in it. Every character is important as the story is said on a large scale. 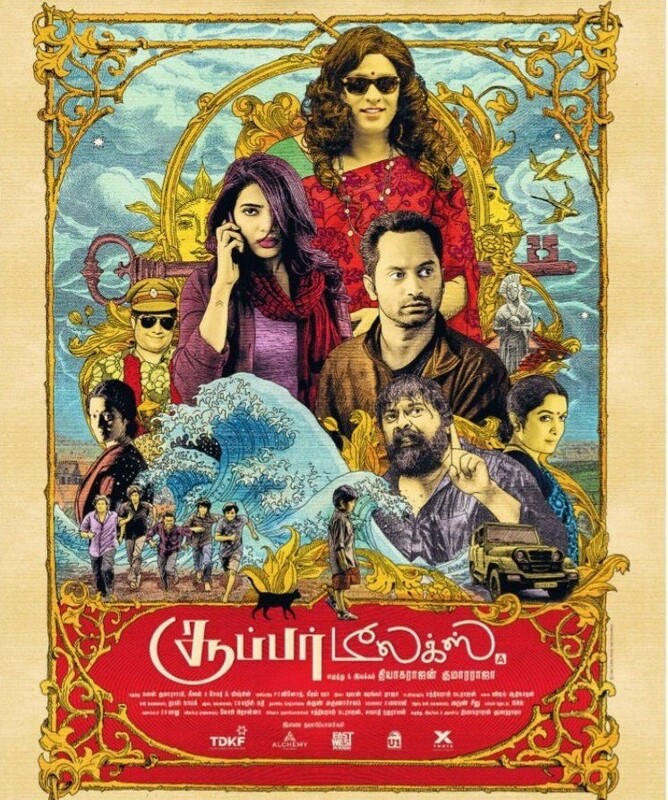 Actors like Ananya, Suraj Venjaramood, Shine Tom Chacko, Paris Laxmi and Padmapriya have done their job well. Murali Gopi excelled as Mahashay Bhagawan, especially his performance in the climax was remarkable. Indrajith played Pattabhiraman with the much needed maturity, he could carry out the emotional sequences with ease. Prithviraj as Aslan Muhammad looked divine, his eyes were just glorious and he too had the matured demeanour. More over the actors who played the roles seemed like they were totally in sync with the script and the topic it discussed. Tiyaan cannot be put under the regular commercial film category. There are messages that are transparent and there are some hidden. In this era where spirituality became nothing more than business, it is worth spending time and thoughts on Tiyaan. The film shows a very enlightened attitude towards religions and it’s practices. It compliments the true Dharma of all religions and also emphasizes the fact that all of them are the same. Tiyaan is not just a social-political drama but also a cultural film. Tiyaan will impress you if you are able to perceive theme both on the micro and macro levels. Once again, it may not be everyone’s cup of tea.